1-3/4″ Barrel heats up twice as fast & retains heat much longer Advanced thermal reflection for a gentler heat. 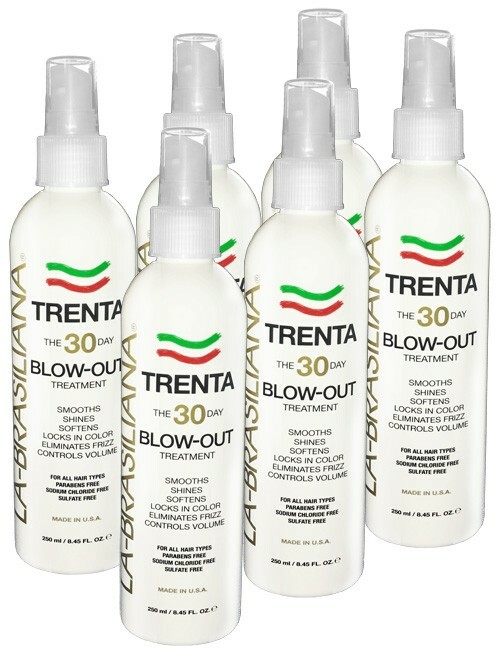 Ultra fast drying without heat damage. 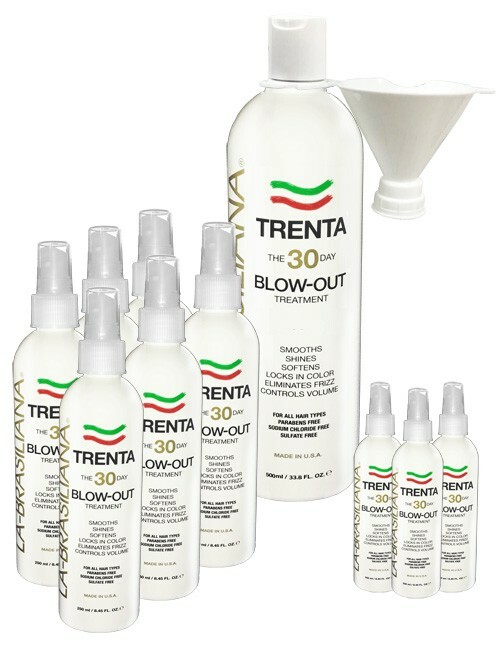 Create superior & longer-lasting hairstyles. Unmatched heat resistance up to 550°F (290°C). 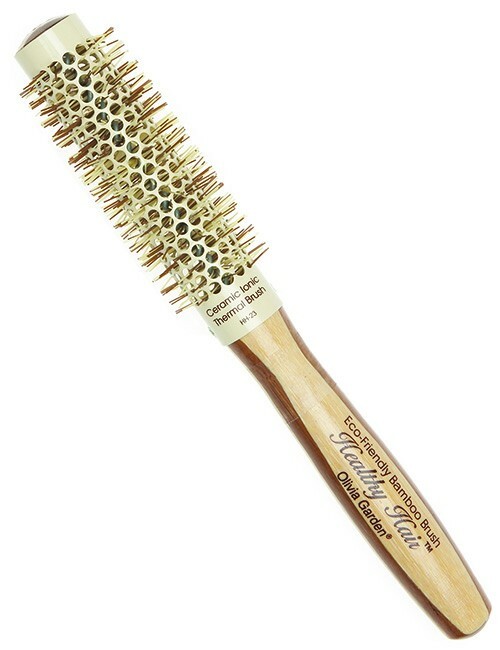 Soft-tip bristles are polished & rounded to be gentle on hair & scalp. 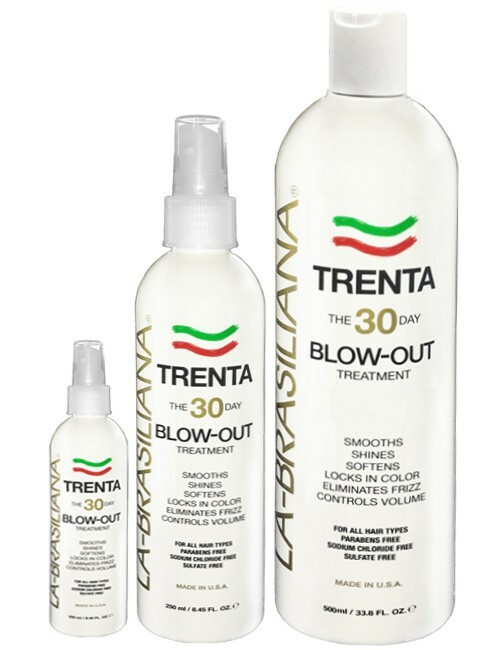 Tourmaline ionic technology enhances cuticle hydration, eliminating frizz & flyaways. Hair is healthier & shinier. 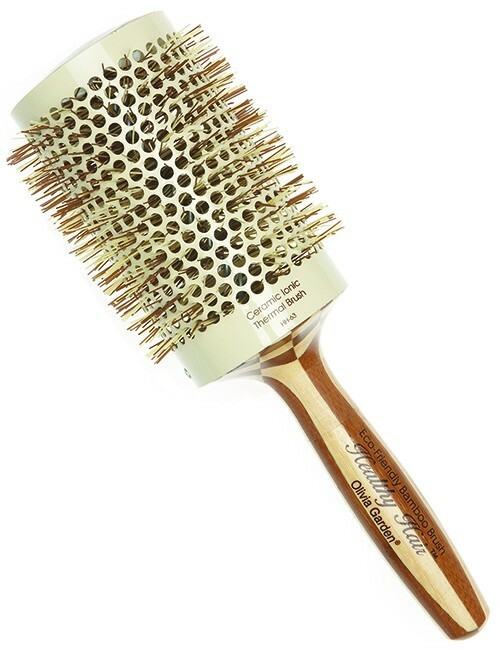 Anti-static Unique hole pattern for greater airflow which means less drying time & faster styling. 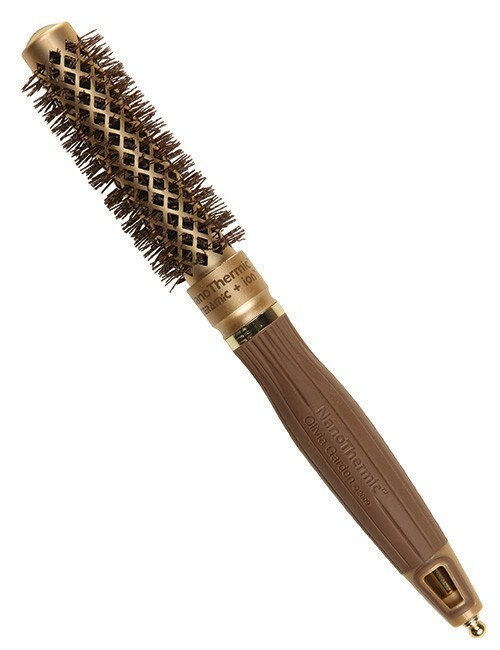 Improved bristle distribution for total hair styling control. Heat & chemical resistant. Seamless assembly eliminates snags & hair pulling. Ultra lightweight & perfectly balanced. 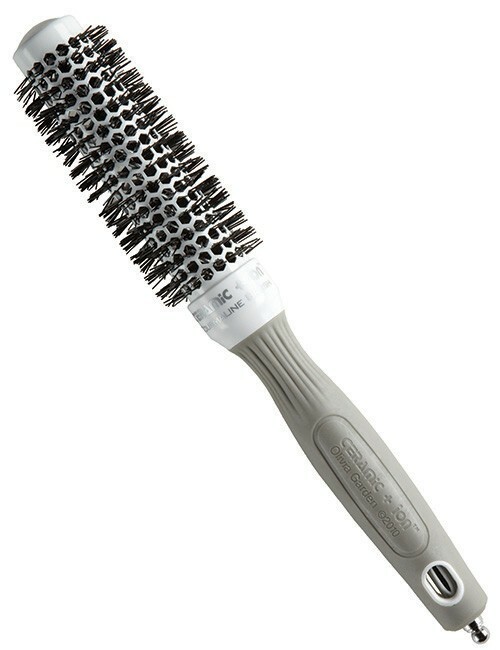 Effortless grip with ergonomic handle. Patented design for smooth rotation and anti-slip grip. Ergonomic shape for relaxed hand & stress-free wrist. Comfortable latex-free high quality handle. Retractable sectioning pick. 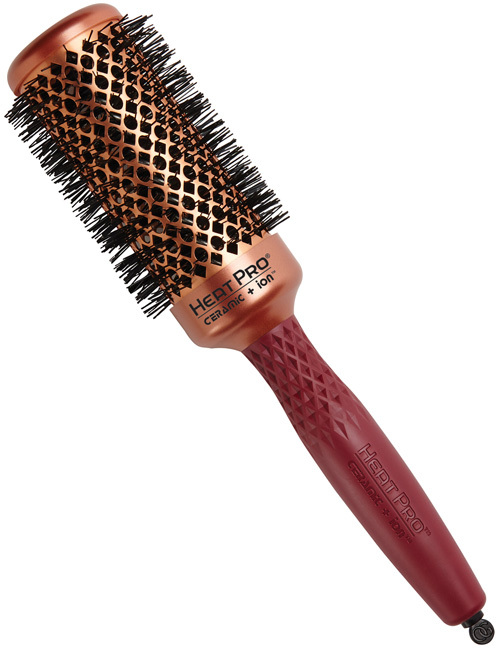 Vented cap design keeps top of brush head cool, boosts ventilation for faster drying and renders a lighter brush design.